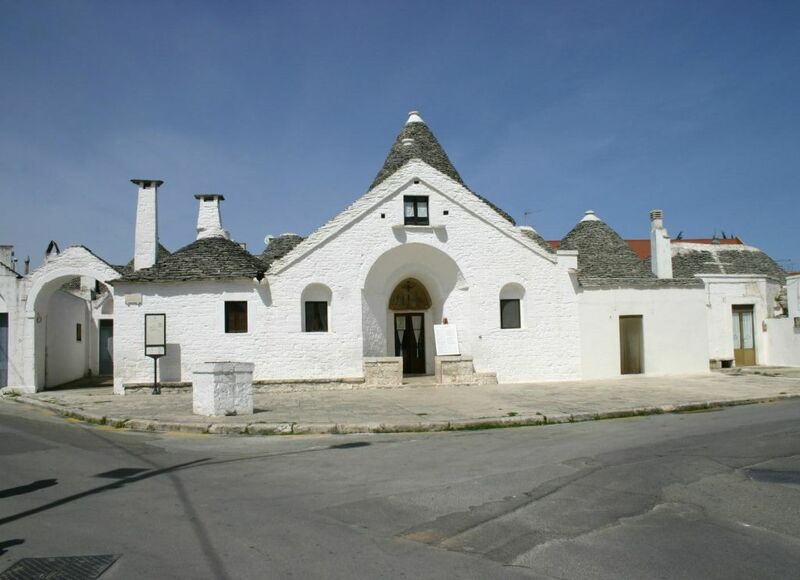 Trullo Sovrano means Supreme Trullo and its name is due to the fact that it is the biggest Trullo in Alberobello. It is the only trullo with a raised floor, and should be considered the greatest example of technique and style in this kind of construction. The majestic conical dome, 14 meters high, stands imposingly in the middle of a group of twelve cones. It was built in the first half of the XVIII century on behalf of the wealthy family of a priest Cataldo Perta (1744-1809) and originally referred to the court of Pope Cataldo. 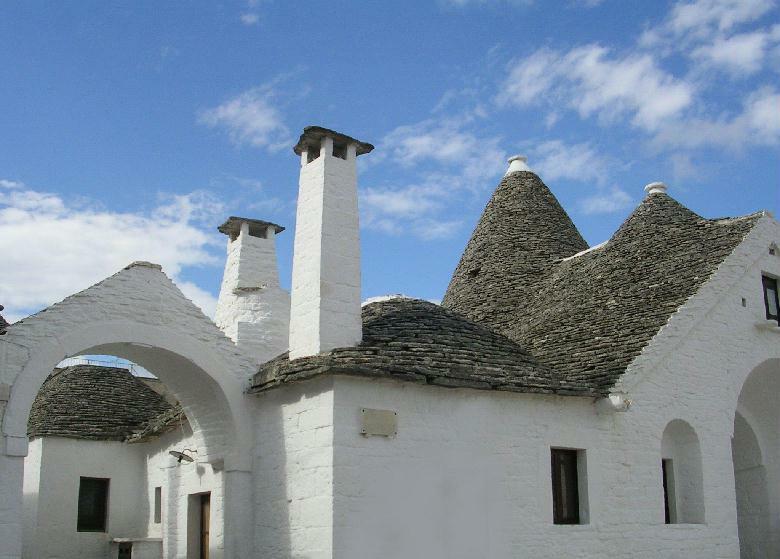 The master builder – remained unknown – still respecting the old constraints imposed by the provisions of Count Gian Girolamo Acquaviva, adopted unique design solutions, that made this building the most advanced and admirable interpretation of a Trullo architecture. 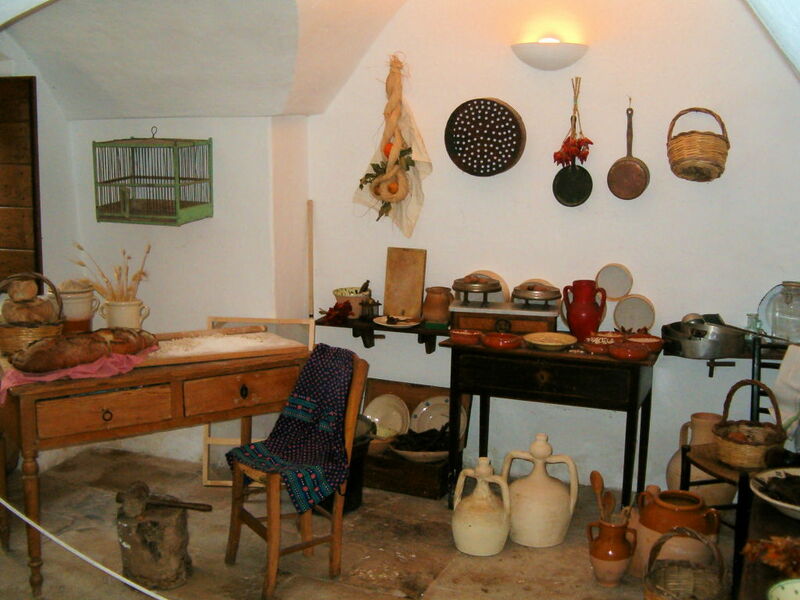 It is possible to visit the Trullo Sovrano inside and it’s interesting to know that, during summer, theatre shows, concerts and other cultural events take place in the Trullo.